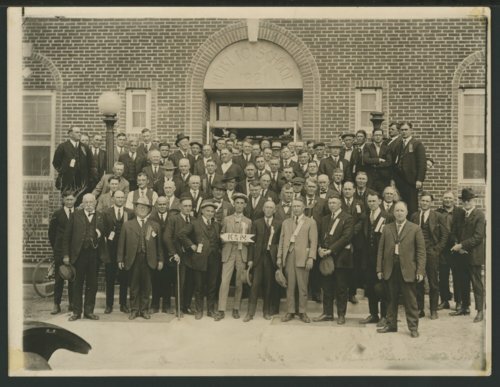 This photograph shows Lee Larabee with a group of unidentified men, possibly in Liberal, Kansas. Larabee is in the front row holding a sign that says KAN. Most of the men are wearing ribbons of some sort. They are standing in front of a brick public school building built in 1921.